This condo, as seen on HGTV, was totally gutted. 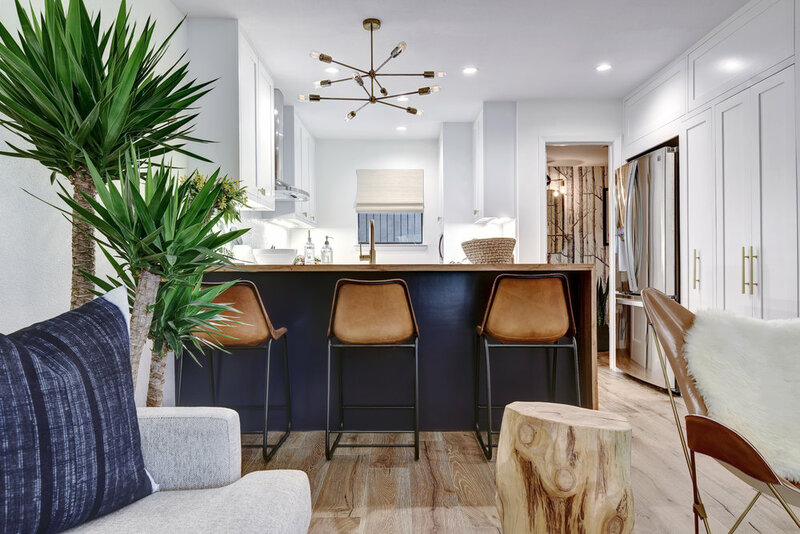 The style ended up blending modern and organic elements, such as a live edge slab paired with quartz countertops. All of the beautiful details in the condo made every space stunning.